Tidelands search: A hunt for truth or Pandora’s box? Public Lands Commissioner Peter Goldmark has decided it is time to see how many private shellfish farms are encroaching on public tidelands. Goldmark said he made up his mind when he learned that Taylor Shellfish Farms appeared to have crossed a private property line with a geoduck farm and trespassed onto state tidelands in North Bay. If true, it would be the second time that Taylor was caught in such an act. See my story in today’s Kitsap Sun. 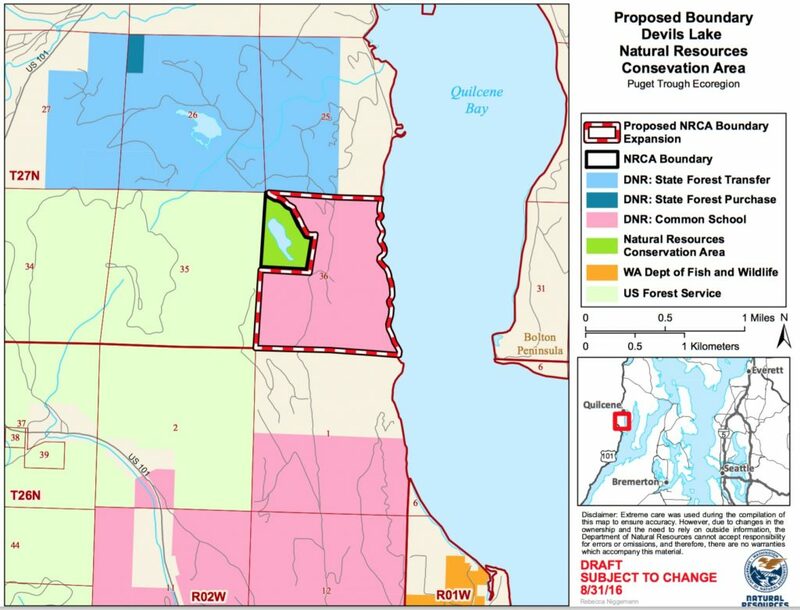 Long before Goldmark took office in January, groups including the Coalition to Protect Puget Sound Habitat were talking about places they suspected trespass was occurring. When I raised the question last year about using technology to check all state tidelands, officials with the Department of Natural Resources told me they didn’t have the staff to do that. OK, I said, but what if you could show that you could collect enough money to pay the cost through charges for back leases where trespass was taking place. That would not work, I was told, because the revenue does not come back to pay the staff. It turns out that this statement may have been only half true. Revenues from tideland leases go into the Aquatic Lands Enhancement Account. Half the money in the account goes to local entities for restoration and recreation projects. The other half goes back to the DNR for management. If management includes checking boundaries and if the state could collect twice the cost, then the program would pay for itself. When I made that point this week to Bridget Moran, deputy supervisor for aquatic and agency resources, she downplayed the revenue-generating aspects. With the tight economy and businesses hurting, I guess it wouldn’t look good for the state to focus on cold, hard cash. Because geoduck revenues go into that aquatic lands account, the fund really isn’t hurting anyway. Moran is new to the job, coming to DNR from the Washington Department of Fish and Wildlife and previously the Department of Agriculture. In my dealings with her, I have found her to be exceedingly capable, and I wish her well in her new high-profile position. My only suggestion — and this idea comes from Bill Dewey of Taylor Shellfish Farms — is to communicate well with the growers. Call a public meeting or two to explain what is going on, what is expected of the growers and what the growers can expect from the state. I would be remiss if I failed to mention that Pandora’s shellfish basket may still contain a legal bombshell. Taylor Shellfish Farms has advanced a legal theory contending that, in the early 1900s, the state intended to sell the property in Totten Inlet where Taylor was growing geoducks. Under that theory, the state should be forced to correct the “mistake” made so many years ago. I don’t how legitimate the idea is, but when Taylor and Goldmark settled their dispute out of court, the question went unresolved. If problems are widespread, might one or more disgruntled shellfish farmers raise the theory again? I have written a lot about this topic of trespass, both in stories and in Water Ways. Check out a previous blog post from May 7, when I listed most of my writings. Washington Department of Natural Resources and Taylor Shellfish quietly resolved their dispute behind closed doors, then announced the $1.5 million settlement yesterday. It was a dramatic turnabout in tone from the battle waged in legal documents and news releases just a few weeks ago, when Taylor officials were claiming rights to state land. The issue grew out of a finding that Taylor had planted shellfish on state tidelands and was “trespassing” on state property. Among the questions that remain are whether other shellfish growers may be encroaching on state tidelands, what Goldmark intends to do about this overall question and whether Taylor’s legal claims could be used by another grower. Beyond that, are the debates about geoduck aquaculture that will soon begin to play out at the county and state levels. 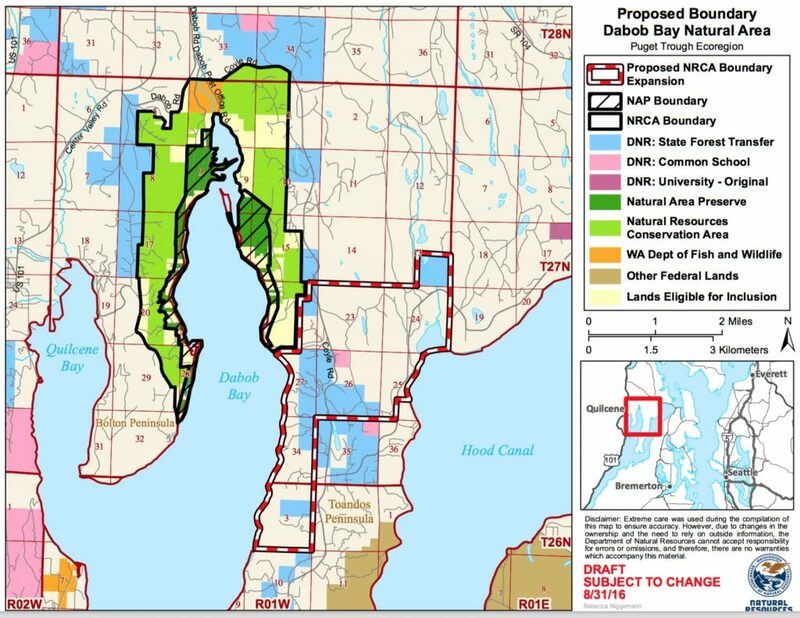 Oct. 30, 2008: Should the state look for more encroachments on its tidelands? Later, I was told by Fran McNair of the Washington Department of Natural Resources that the Legislature maintains tight control over the Division of Aquatics Lands, and there is no assurance that any money recovered would even pay for the staff it would take to uncover the problems. In fact, she said, uncovering the problems with Taylor has taken staff away from their main duties, and now they are behind on other projects. See my entry from Oct. 30. I have to admit now that I did not know how big Pandora’s box might be. Taylor has taken the approach that the tidelands in Totten Inlet should have been conveyed to private property owners back in the early 1900s. While the state may not be subject to adverse possession, the company’s lawyers are advancing some interesting legal theories about why Taylor should end up owning the land in question. If Taylor were to prevail, what would that mean to other areas where shellfish growers may be encroaching on state land? Maybe the state would lose more land? Would it make any difference if a bunch of shellfish growers are already using the land as if it were theirs? Anyway, the latest news on this issue comes from my story last week about Taylor filing a lawsuit in federal court (see Wednesday’s Kitsap Sun) in addition to the case already filed in state court (see Feb. 23 Kitsap Sun). For the legal details, download the complaint filed in state court (PDF 2.2 mb) and the complaint filed in federal court (PDF 2.0 mb). Michelle Ma, a reporter for the Seattle Times, wrote a nice background piece in Sunday’s paper on geoduck harvesting in light of the recent controversy in Totten Inlet. Brad Shannon, a reporter for The Olympian, wrote a somewhat revealing piece today about Public Lands Commissioner Peter Goldmark’s ethics pledge to avoid making decisions affecting major campaign donors. And, if you’re new to the commercial geoduck issue, Craig Welch has written an article long on history for Smithsonian magazine. Taylor Shellfish Farms has filed a lawsuit against the state regarding the company’s so-called “trespass” on state tidelands in Totten Inlet. See my story in today’s Kitsap Sun. I found a work of art in the legal complaint filed by Taylor’s team of lawyers. Given the complex and obscure legal theories, I can’t begin to predict how this will turn out. But I want to say that the complaint drafted by the law firm Gordon Derr was written with such precision that anyone can walk through the document and not feel lost in what could have been a dense jungle of legal arguments. Download the complaint (PDF 2.2 mb) from the Kitsap Sun’s Web site and read it for yourself. But remember that we have not yet heard the arguments from the state’s side. Maybe it’s all empty rhetoric, but I thought it was worth giving credit for the writing itself. I can’t tell you how many times I have struggled through legal documents trying to understand much simpler arguments than these. Whether the state’s counter-arguments would be as eloquent may never be seen. Public Lands Commissioner Peter Goldmark has expressed interest in settling this out of court. His only point, according to his chief spokesman Aaron Toso, is that he wants the settlement and lease agreement to be open for public review and discussion. Bill Dewey, spokesman for Taylor, told me a couple of weeks ago that Bill Taylor was disappointed with a meeting he had with Goldmark on Feb. 9. The meeting followed Goldmark’s decision not to lease the property to Taylor for the time being. See the Feb. 5 story in the Kitsap Sun. Taylor expected in the meeting to talk about issues regarding the company’s inadvertent use of state tidelands and how to work through the problems. But the discussion never got beyond a general overview of the shellfish industry. It seems likely that Taylor left the meeting convinced that he needed to take a stand, thus the filing of the lawsuit. Toso told me this morning that Taylor had been informed in advance that no lawyers were going to be present and that Goldmark did not want to get into what could be considered negotiations.